​I see teaching is an extension of my art practice and it's a complementary activity where I can go beyond my studio and bring my experience into the world. 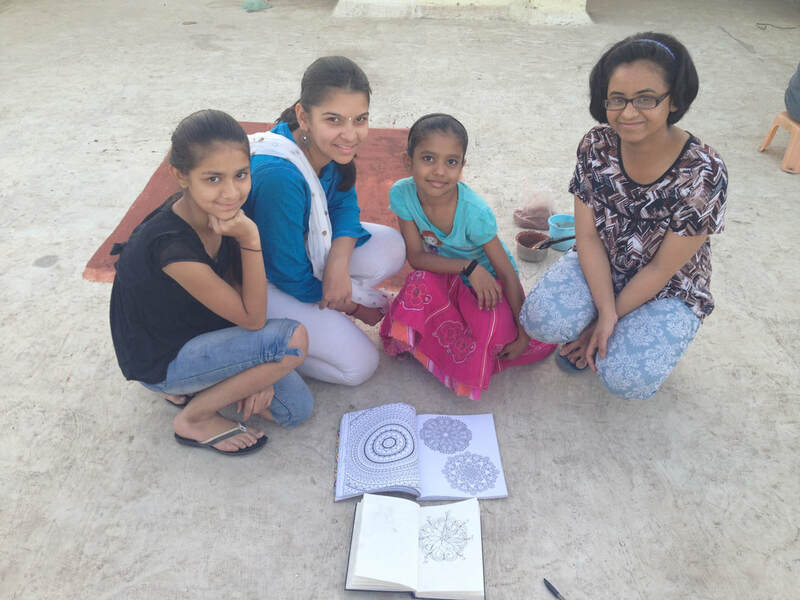 As an artist and educator I believe in the capacity of art making for social transformation.​ I have taught art to contribute to social change, providing a balance between technical skills and critical thinking. 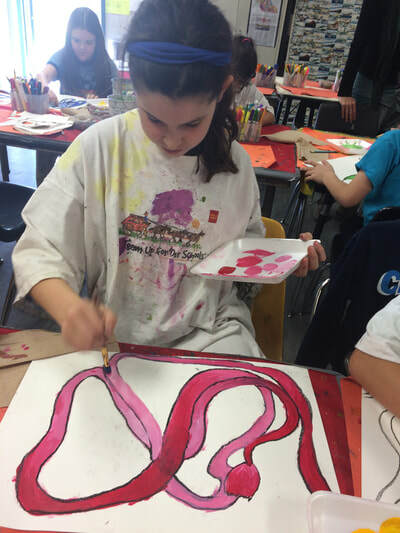 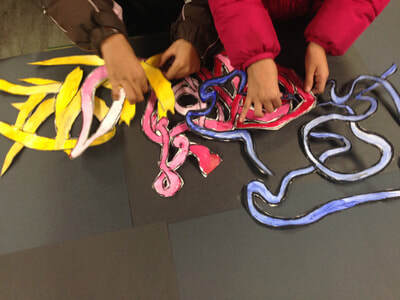 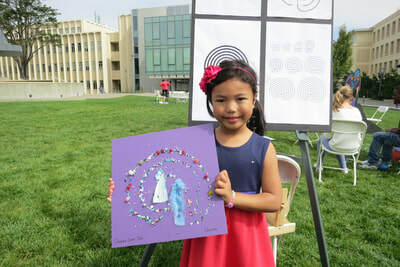 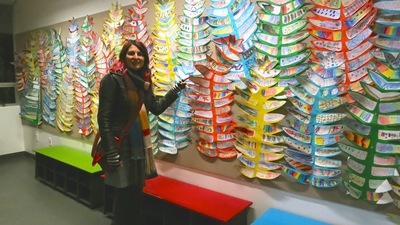 My art teaching experience includes working with kids from different backgrounds, nationalities and ages. I started teaching High School students in Spain as soon as I graduated from college, where I taught for three years as part of the public education system. 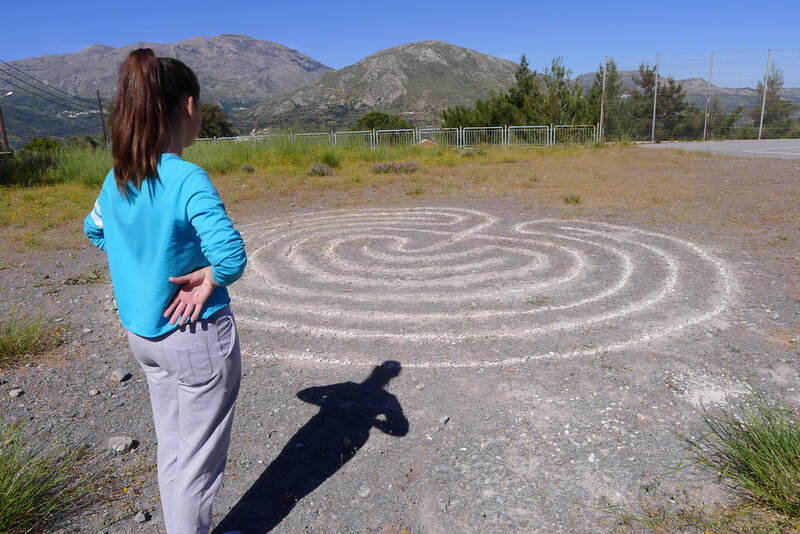 After receiving my MFA in Studio Practice from UNAM, Mexico City, I moved back to Spain where I worked as a printmaking teacher and program developer at the International Printmaking Center (CIEC). 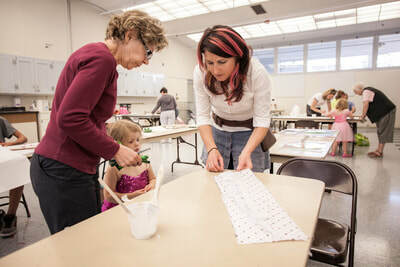 I also designed and created the 1st Spring Workshops. 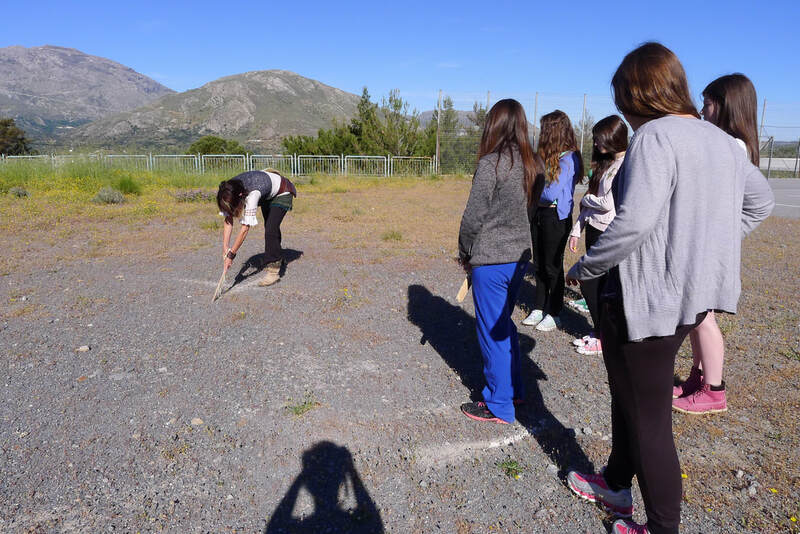 Most recently and as part of my art projects, I have taught workshops in Crete, india and the Bay Area. 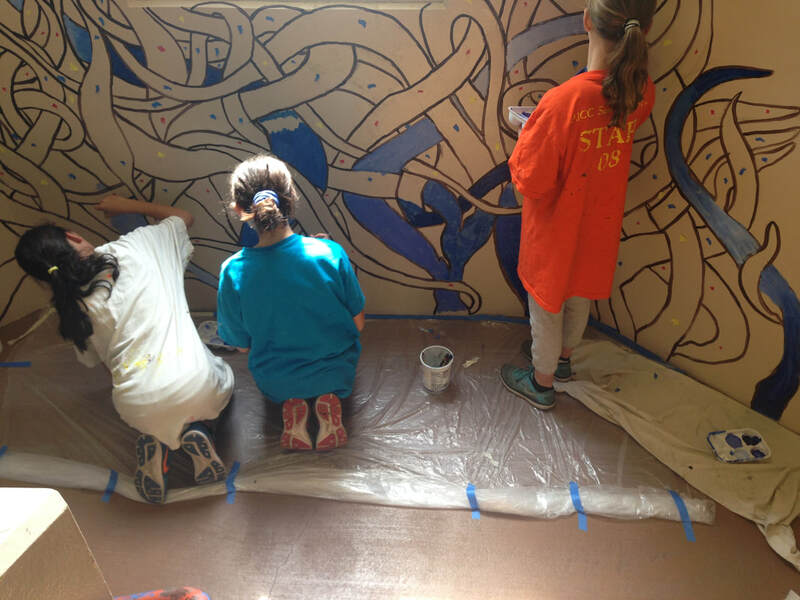 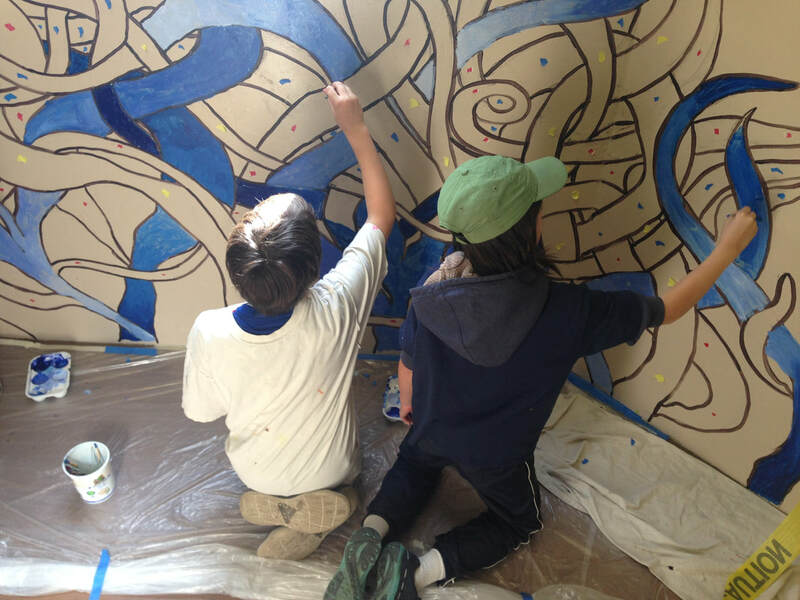 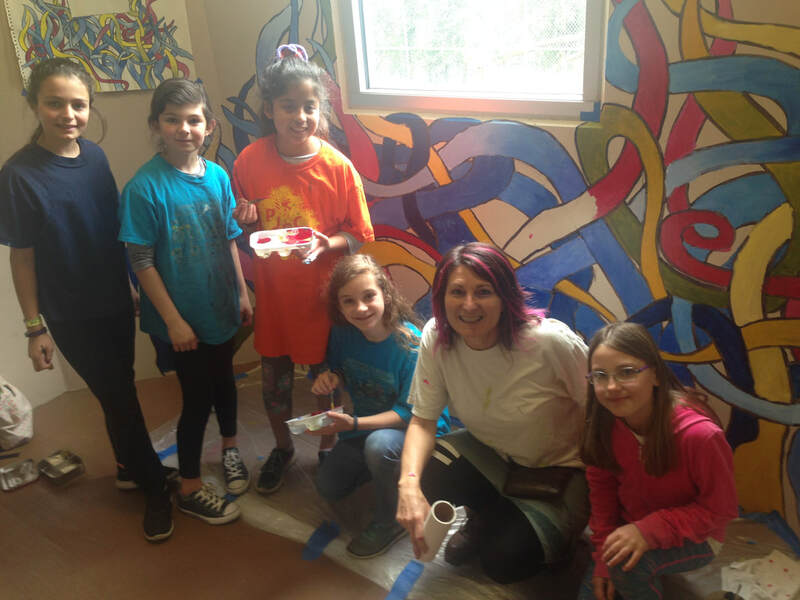 During 6 weeks I worked with 5th and 4th graders in a Mural for their School. 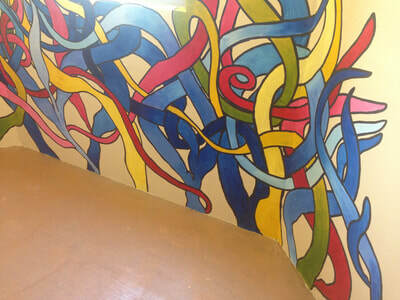 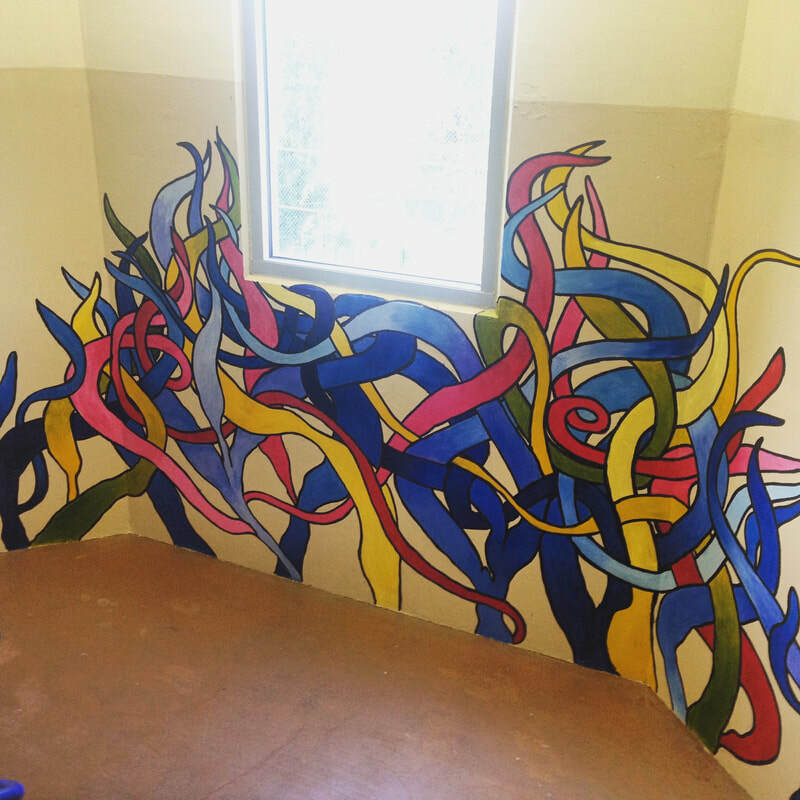 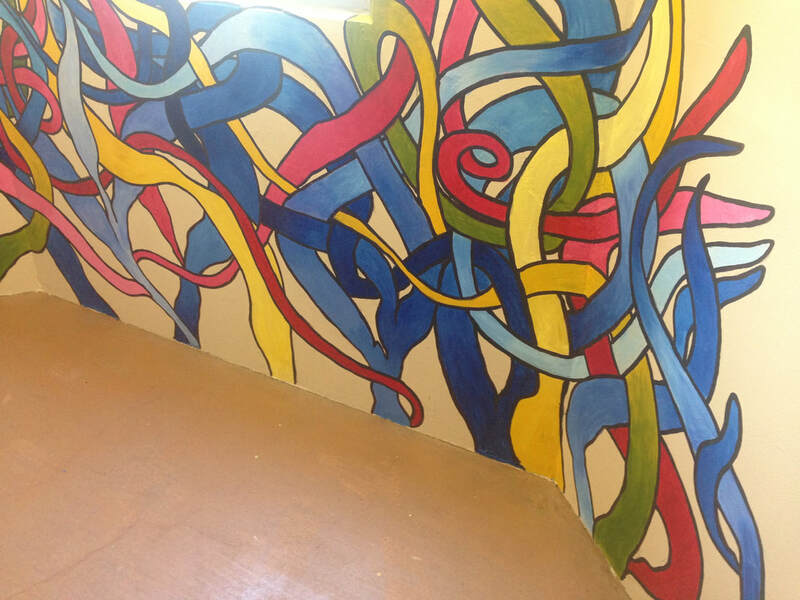 ​Different stages included sketching and drawing, color theory, gradation technique, composing and designing the mural and wall application. 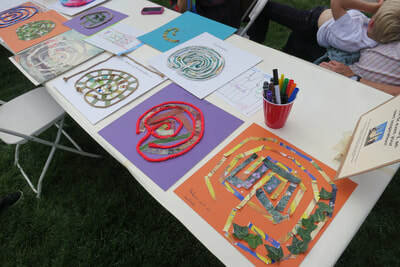 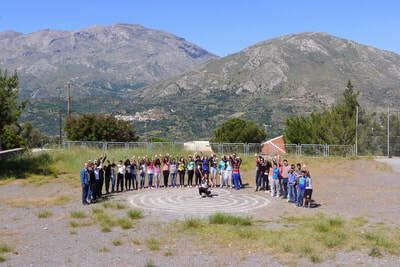 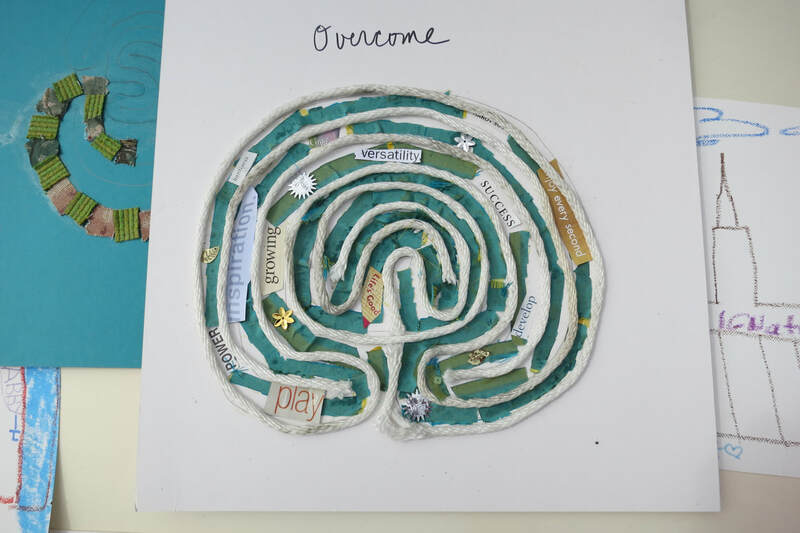 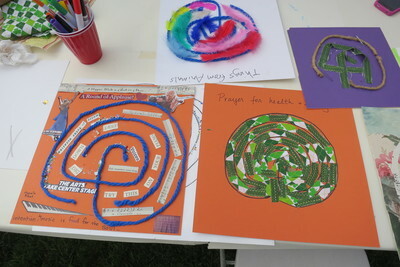 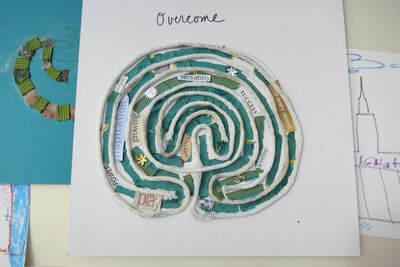 not only learned composing and collage techniques but also to use the archetype of the labyrinth as a personal transformational tool. 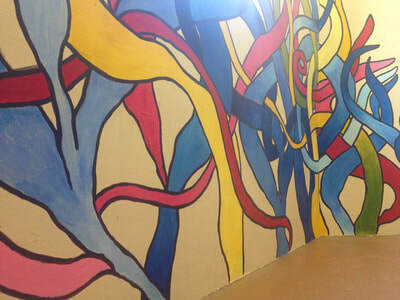 ​as well as its use in contemporary culture. 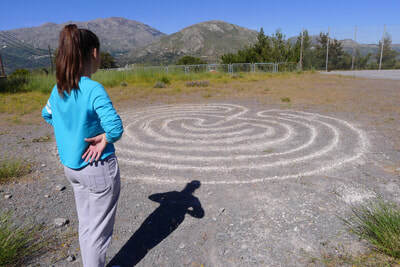 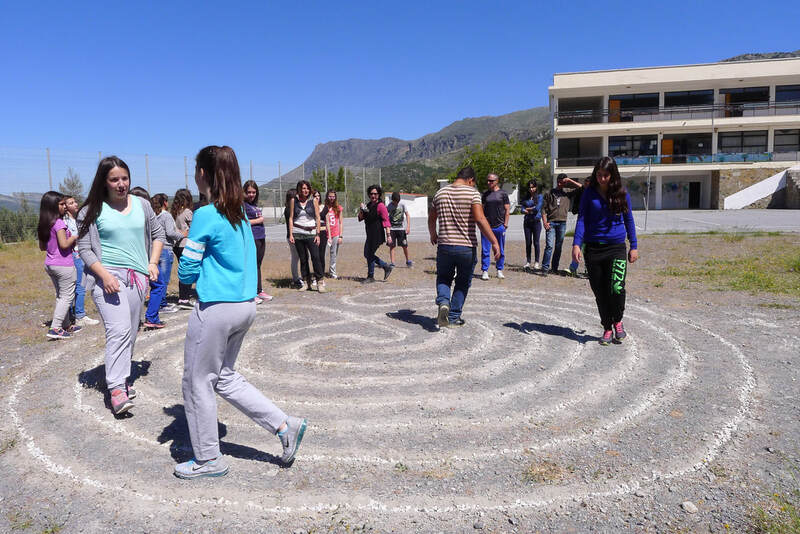 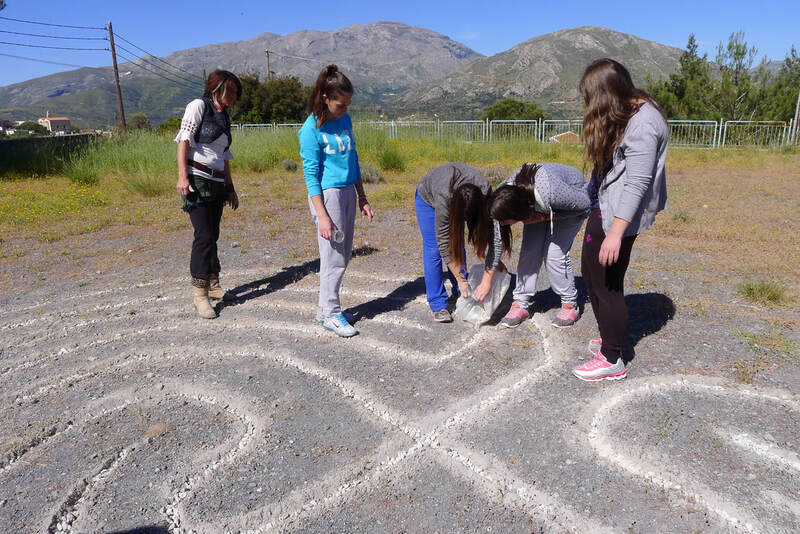 ​They built a temporary 7 circuit classical labyrinth at their Hight School garden. During the summer of 2012 I taught a few workshop at the Palo Alto Art Center. 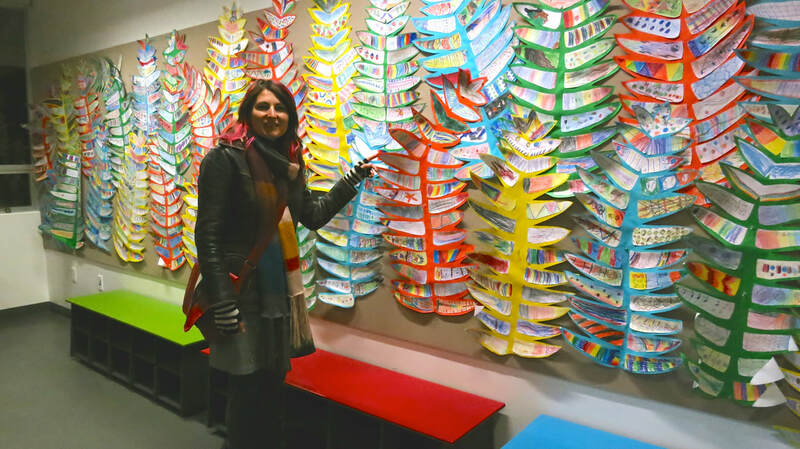 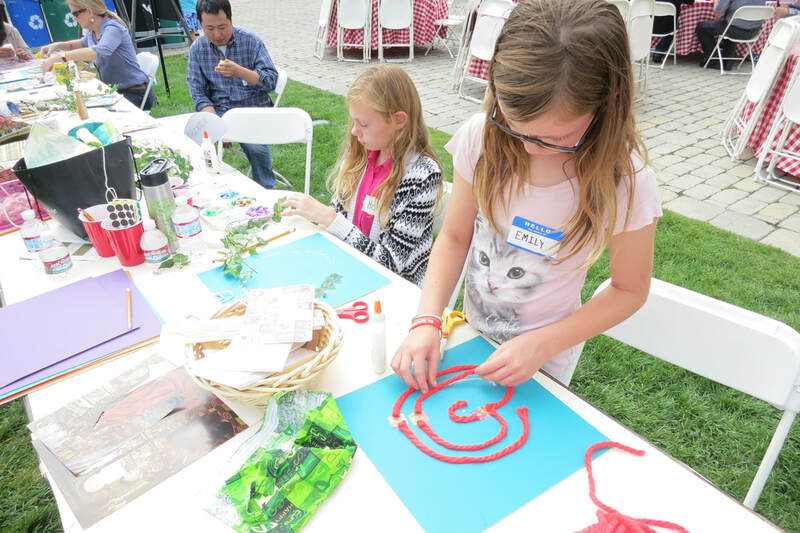 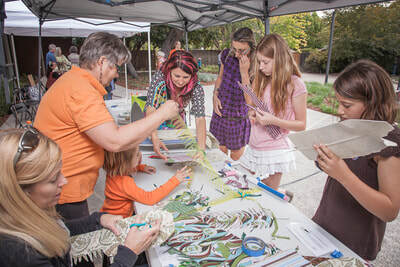 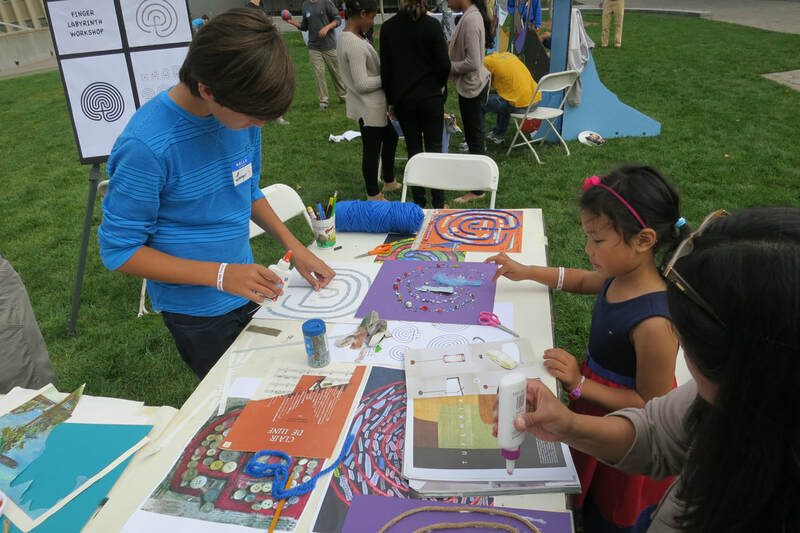 The local community, both children and adults, learned how to craft their own fern leaves to be part of the inaugural installation at the Palo Alto Art Center. 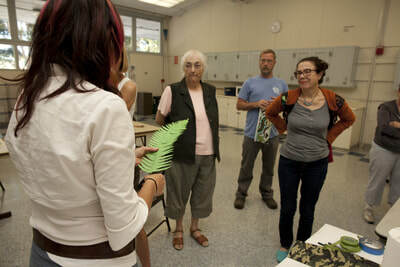 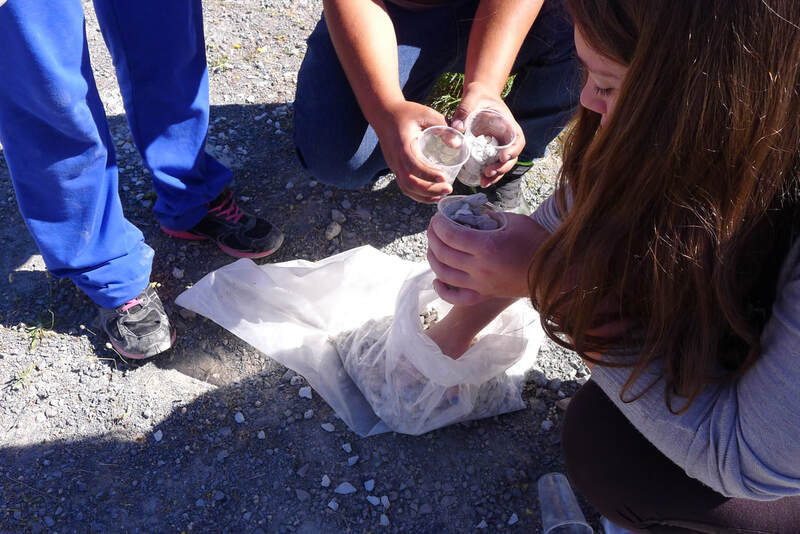 Participants were encouraged to bring their own fabrics and clothes to recycle for this project. 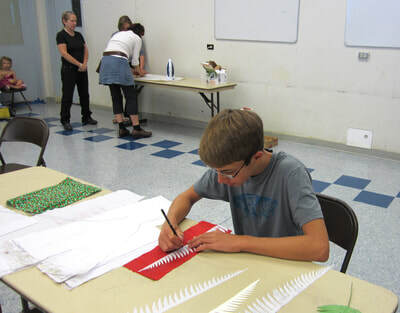 During the course of this exhibition, including the day of the Grand Opening in October, I also worked with visitors to trace, cut and craft more fern leaves to be included in the installation. As part of my art residency in India I organized a Kolam making workshop for children. 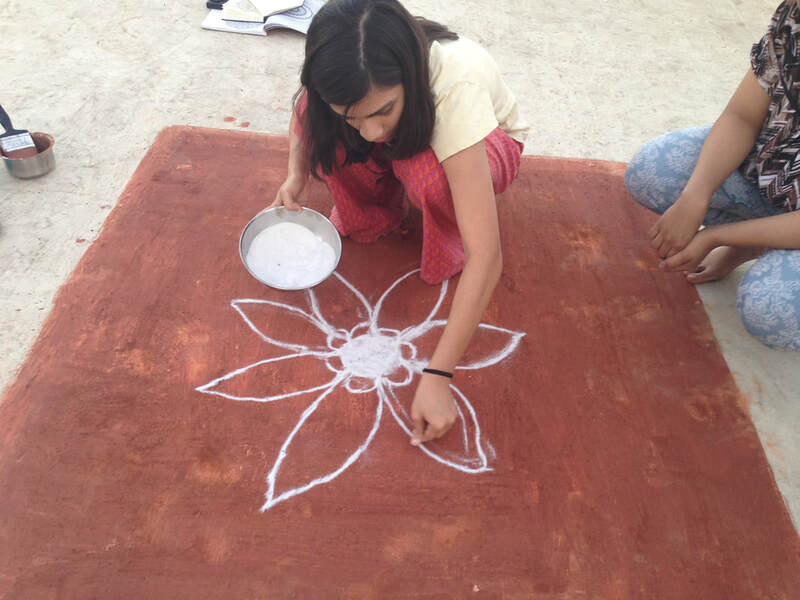 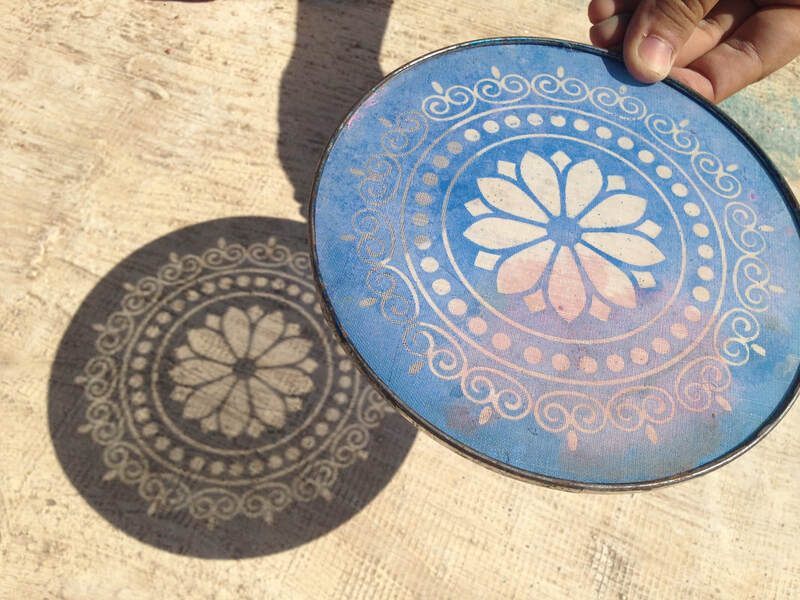 Kolams are manadala-like designs painted with rice flour on the floor of public spaces. 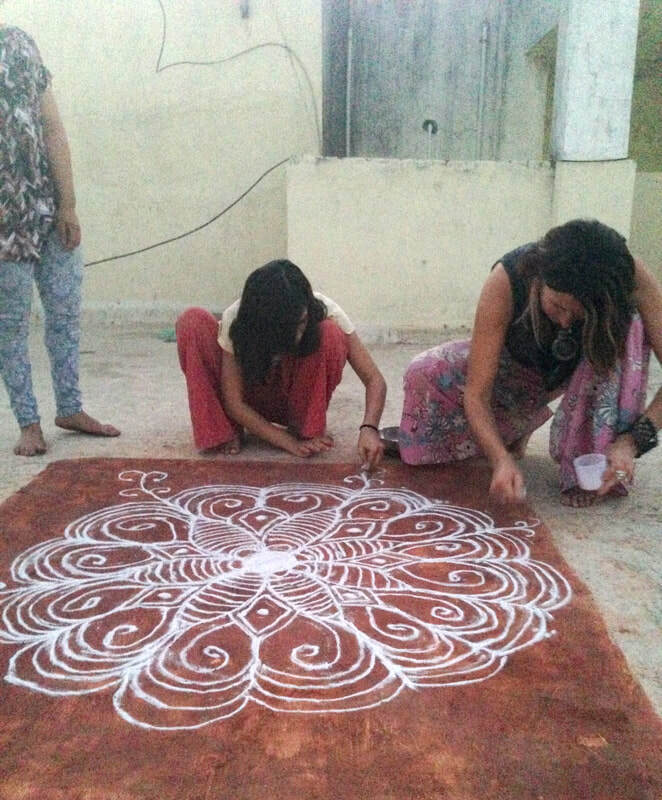 Being connected to the personal and collective psyche, it is said that the Kolams can help in moments of grieve and equally attract blessings to the household.